I don't know what it is about a sea of clouds but many a traveler dream of witnessing it. We travel far and take long often arduous journeys in the hopes of seeing it. 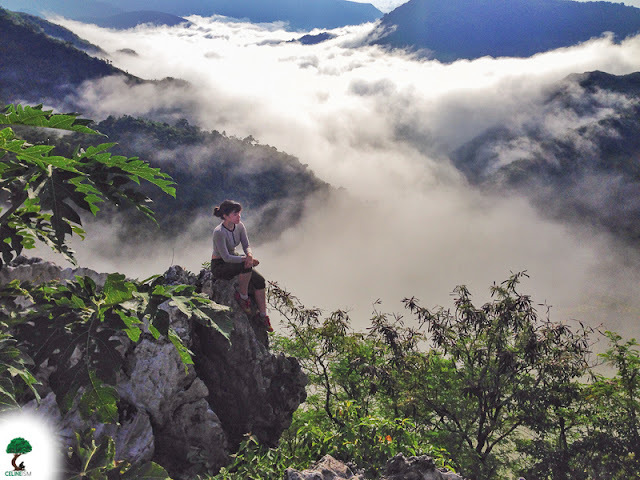 Fortunately, here in my home province of Rizal, a sea of clouds is quite easy to come by. 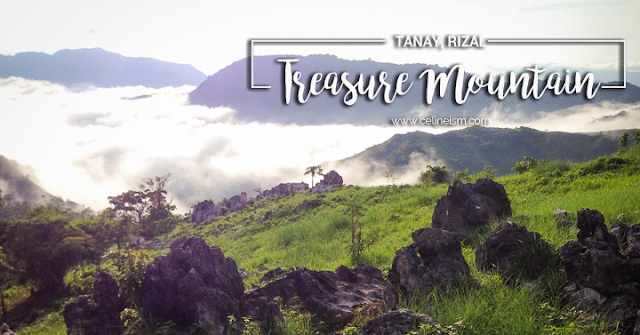 In Tanay, particularly, with its endless mountain ranges, stunning vistas are a staple. The Maysawa Circuit in Cuyambay, for example, is often graced by the vaporous wonder. 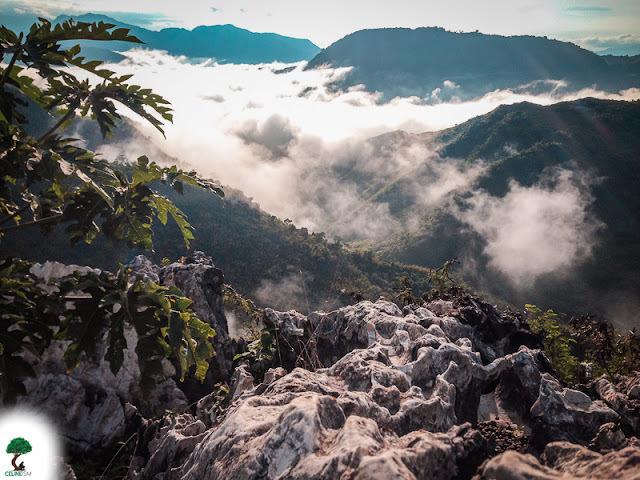 But, if you're in no mood for hiking but still want to witness a sea of clouds, you need not go to Sagada, for in the place known as Treasure Mountain, you'll get this and more. Officially known as Treasure Mountain Educational Campsite, this large property is privately-owned and offers a place especially designed for weekend warriors. 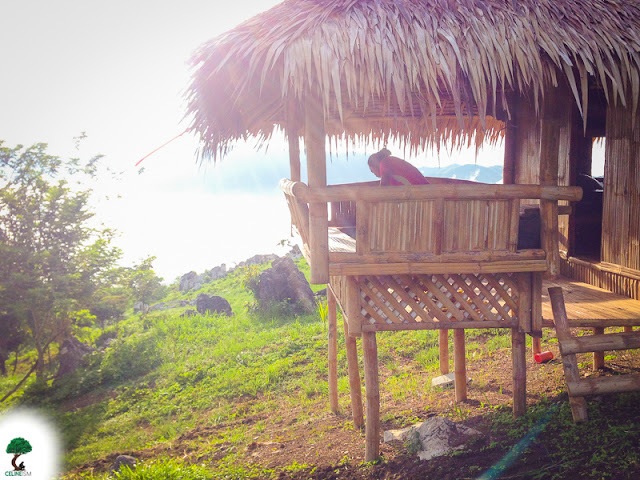 It's just a couple of hours from Manila, and doesn't require you to go on a trek to get there. You could trek to there, but the path is easily accessible by vehicles. Yep. The elusive sea of clouds is a mainstay in this piece of heaven on earth. Some days, it's a little wispier, but it's always there. 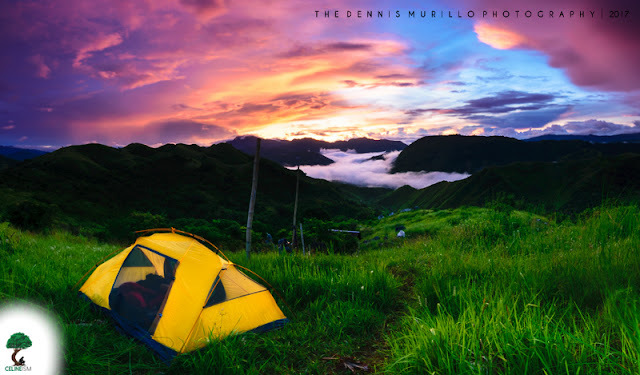 You don't need to travel to Baguio or go on a hike to experience this. 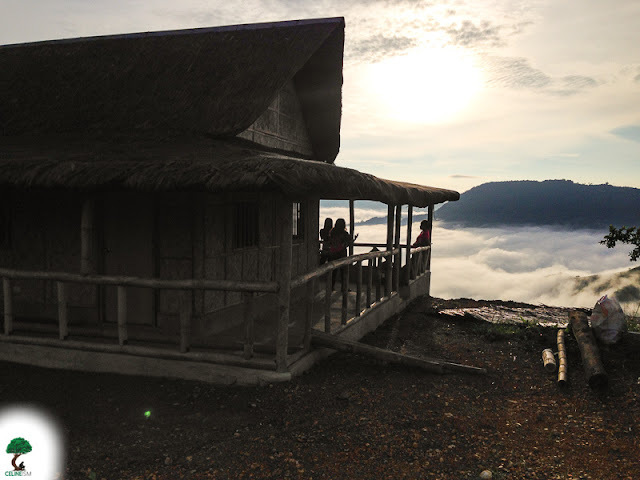 You can, of course, go on a day tour to check out the sea of clouds, but I highly recommend spending a night here.You can pitch a tent or a hammock, or rent a bedspace if that's not your thing. Aside from chilling out and just watching the wondrous sea of clouds, you may also go on a trek to the nearby waterfalls called Busay Falls. There's also a fire pit for bonfires. 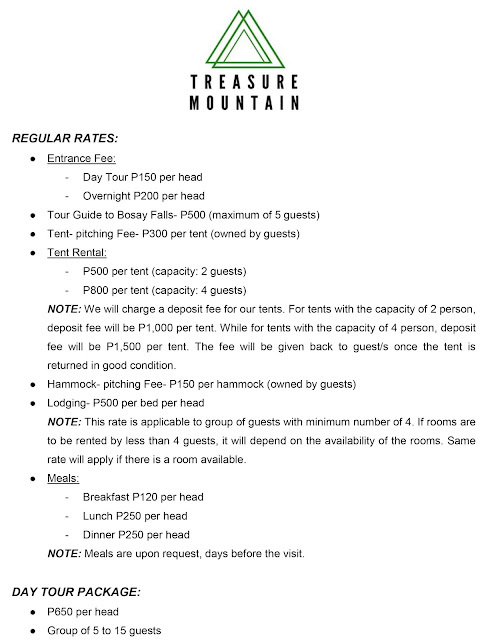 Bringing your family and friends, even your teammates, is also possible as Treasure Mountain has lodgings that could fit up to 40 people. There's ample space for parking, and there's a swimming pool that would be open very soon! If you're worried about food, fret not, for Treasure Mountain has a snack store. You may also request meals to be prepared beforehand (check out contact details below). They also offer native goat cooked four ways! You may also use their kitchen, and they also have a karaoke machine. As for electricity, the place normally runs on solar energy, but they also have a generator. Mobile reception for Smart and Sun Cellular is exceptionally good here (Globe and TM are a little iffy), so updating your Facebook friends won't be a problem! While walk-ins are permitted, guests are highly encouraged to make reservations or inform the place beforehand (see contact details below). Check out Treasure Mountain in Google Maps here. Course through Marcos Highway. 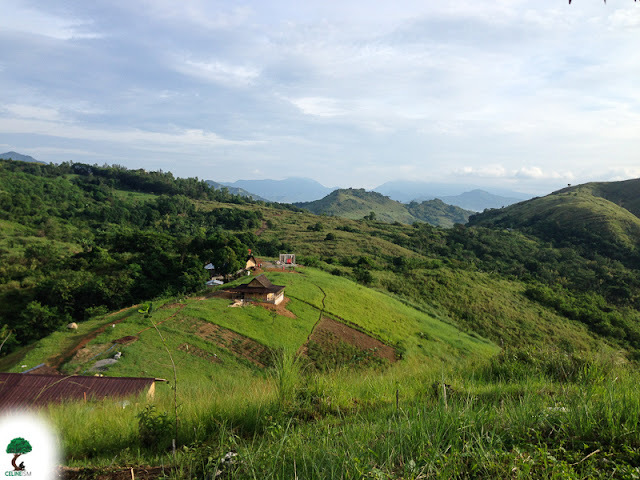 You will pass through Masinag, Cogeo, Boso-boso Resort, Foremost Farms, Palo Alto, and, Garden Cottages. The path to Treasure Mountain will be on your left. It's the same jump-off as the Maysawa Circuit (Mt. Sapari, and Mt. Binutasan). Take Sampaloc Road. You will pass by the street to Daranak Falls. Go straight until you arrive at a junction. Turn left. Follow this scenic road. It'll be a 45-minute- to an hour-ride. You will pass by Sierra Madre resort on your right, Ten Cents to Heaven on your left, then Pico de Pino on your right. Once you see Pico de Pino Cafe and Restaurant, you are very close. Drive a bit further. The first path on your right after will lead to Treasure Mountain. It's the same jump-off as the Maysawa Circuit (Mt. Sapari, and Mt. Binutasan). Ride a van or jeepney going to Padilla/Cogeo Gate 2. Get off at Gate 2 and from here take a jeep bound to Sampaloc in Tanay. It'll be the same route as Route 1 in private transportation. Get off at the jump-off to the Maysawa Circuit. Here, you may go on a 20-minute trek to Treasure Mountain, or wait for a tricycle to take you there. Take a jeepney to Tanay town proper. In the Tanay Public Market, there are jeepneys that go directly to Cuyambay. 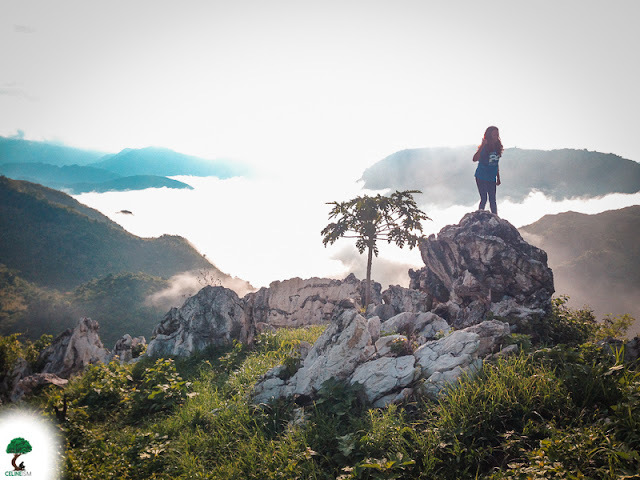 If there are no jeeps available, you can take a jeep to Sampaloc, get off at the junction and take another jeep bound for Cogeo, or, from here, you can hire a tricycle to take you directly to Treasure Mountain. 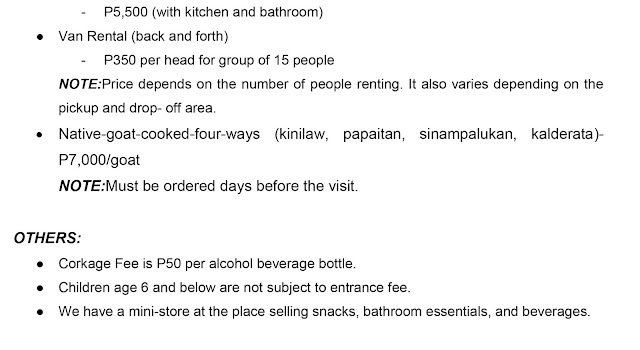 This option may cause you Php500 one way for four persons. Alternatively, you can hire a tricycle up to the Sampaloc junction where you can take a jeepney bound for Cogeo that'll pass by the path to Treasure Mountain. Found this helpful? Please do share!